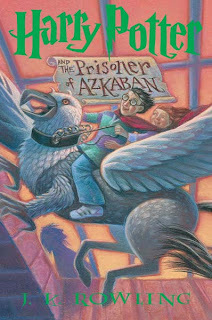 I was so excited to review the Harry Potter books from Scholastic! My oldest son and I are avid readers and love all the Harry Potter books! I love that you can buy all different kinds of Harry Potter box sets! If you haven't read any Harry Potter books now is your chance to get started by reading these great books below! Thanks also to J.K. Rowling you are awesome! Thanks to Scholastic Books, I get to do a giveaway of the first three Harry Potter books in paperback. Share the Magic of Reading with Harry Potter! 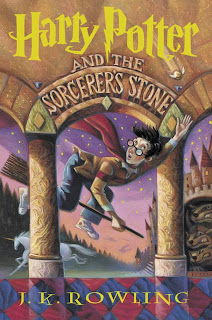 It’s been 10 years since Harry Potter and The Sorcerer’s Stone was first published and a whole new generation of children await the magic of Hogwarts, and Quidditch, of Sorting Hats and Spells. Introduce your young reader to the first three books in this remarkable series and get them started on the reading adventure of a lifetime just in time for school! OH!!! My oldest would LOVE this!!!! I would love to win these for my grandkids!! We would love to have these. Enter me! I'm a follower. I didn't realize that it's been 10 years!! 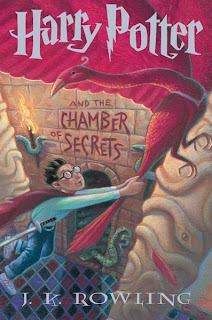 I really enjoy JK Rowling's stories!! Please enter me for the draw. I would love to read these books! I never have read them before! Thanks for the chance! This is a great giveawya. Love this! Please count me in too!! I love Harry Potter!! These are some of the few books I enjoy reading again. I enjoy passing them on to the kids in the family too. Thanks for a great giveaway! Oops! I didn't follow directions! Your button's on my blog, krupptimes on blogger. I REALLY want these books for my home library for my kids (and me!) 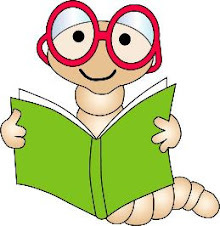 to read! Please, please count me in. Who wouldn't want to win Harry? Thanks for the chance! What a delightful giveaway. Please count me in. There is no age limit to Harry Potter, I love the stories. I don't have any Harry books- LOve this! What a great giveaway. I haven't read any of the Potter books (yet). So hoping I win. thanks again. I follow - thanks so much! Would love to win these for my nephew! Thanks for the chance. My grandson would love to get this set. what a wonderful giveaway! count me in! Funny, I've never read any of the HP books. I'd love to though. I'm a follower and have your plug button on my side bar. :) thanks! Love Harry Potter at our house! I love Harry Potter. I waited until they were all out and then some to begin reading. I've still got the last to go! Thanks so much for doing the giveaway! Blogged about the giveaway here. 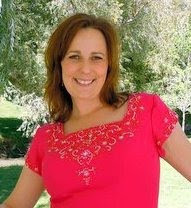 I just attached my email to follow your blog - I am a teacher in FL of 7th grade students who are avid readers. We try to meet a goal of each year of 25 books - I meet this goal as well. please count me in, I am looking into Christmas time, and this would be a great gift for my oldest! I wouldn't mind having a chance to win these and read. I can not believe Harry has been around for 10 years and I still haven't opened one single book! About time! I would enjoy reading these! I follow your blog! Thanks for the chance to win these wonderful books for my DD (darling daughter)! I have a preteen daughter who has read each of the Harry Potter books as library loans. She would love to own her own set! Thanks for the chance to win!!! Just what I need! I hope I win! We LOVE Harry Potter over here! :) We even had a party once on HIS birthday!!! The movies are pretty good... but the books are awesome!!! I can't believe it's been 10 years already! WOW!!! My 10 yr old and I love Harry Potter, we saw the midnight showing of the Half-Blood Prince, now we are trying to get my 8 yr old on board! I've now got your button up! I would love these for my classroom! I'd love to win this set of Harry Potter books - it's one of my favorite series of all times. I would love to be able to read the Harry Potter books. These look like great books and I'd love to read them! Thanks! +1 Can you believe I've never read a Harry Potter book. XD I would like to though. I'd love to win one of these! Please enter me. Thanks for the chance. Can you believe I have NEVER read a single Harry Potter book? I need to! l would love to win this. Please enter me in this wonderful giveaway.